Fortaleza is a city of 2 million inhabitants located in Brazil’s Northeast region and capital of the state of Ceará. Fortaleza and the Ceará coastline are a popular tourist destination for Brazilians and, to some extent, Europeans. Few Americans visit Fortaleza, possibly due to the greater popularity of Rio de Janeiro, Salvador and Iguaçu Falls and the lack of direct flights. Another reason could be Fortaleza’s lack of a marketing campaign within the US. Known as the Brazilian Miami, Fortaleza offers luxury high-rises, urban beaches, interesting museums and cultural attractions, sweltering heat and, unfortunately like other large cities in Brazil, a share of danger. Fortaleza’s colonial history began with the construction of Fort São Tiago in 1603 and the settlement of Nova Lisboa by Pero Coelho de Souza of Portugal. The fort’s name was later changed to Fort São Sebastião. The Dutch invaded northeastern Brazil in 1637, fought the Portuguese and the natives, destroyed the fort and constructed a new one, which they named Fort Schoonenborch, in 1649. With the end of Dutch occupation of Brazil in 1654, the Portuguese renamed the fort, Fortaleza da Nossa Senhora de Assunção. A village was founded by the fort in 1726 and took its name, Fortaleza, from the fort. 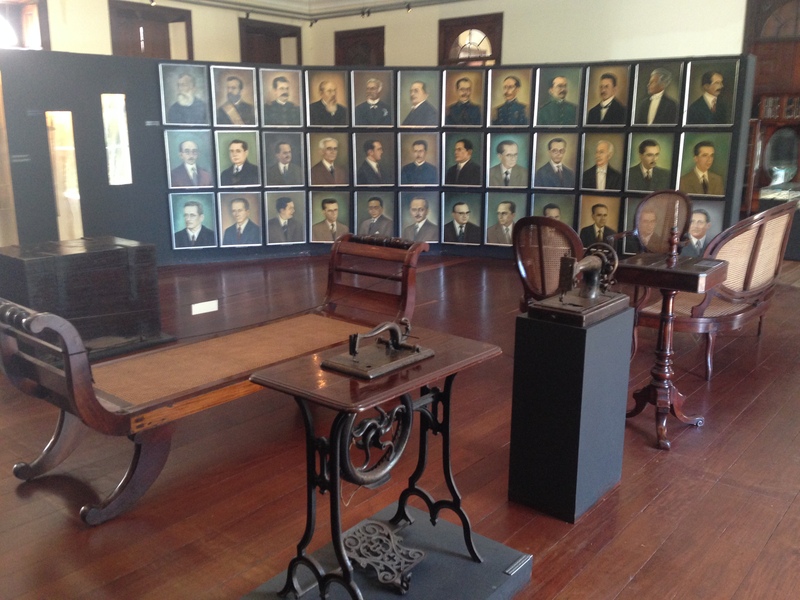 The cotton industry contributed to the growth of Fortaleza in the 19th century and the city continued to grow throughout the 20th century, augmented by migrants from rural Ceará and annexation of surrounding cities. Fortaleza is now the fifth largest city in Brazil and was a host city for the 2014 FIFA World Cup. 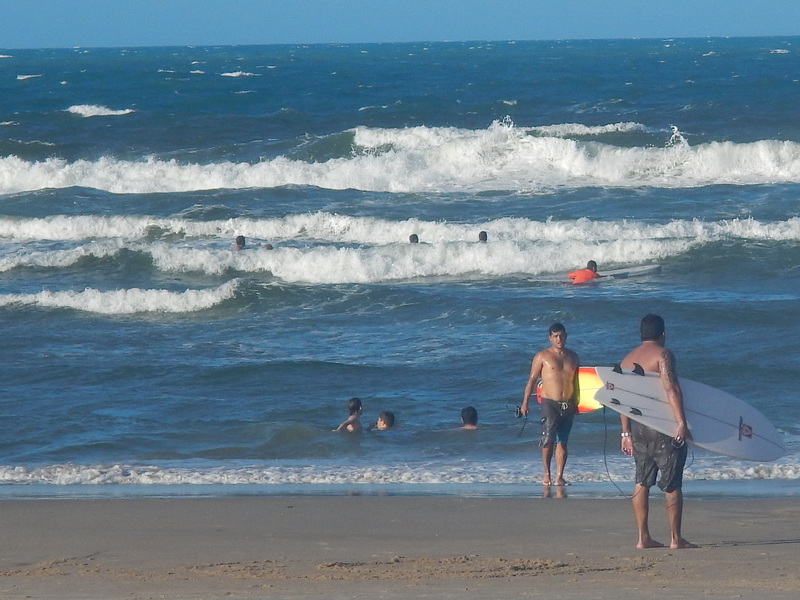 I spent a week in Ceará in August of 2014, during which I took some trips to the resort towns of Canoa Quebrada and Jericoacoara, but I also enjoyed a few days getting to know Fortaleza. Below are some of the places that I was able to experience there. 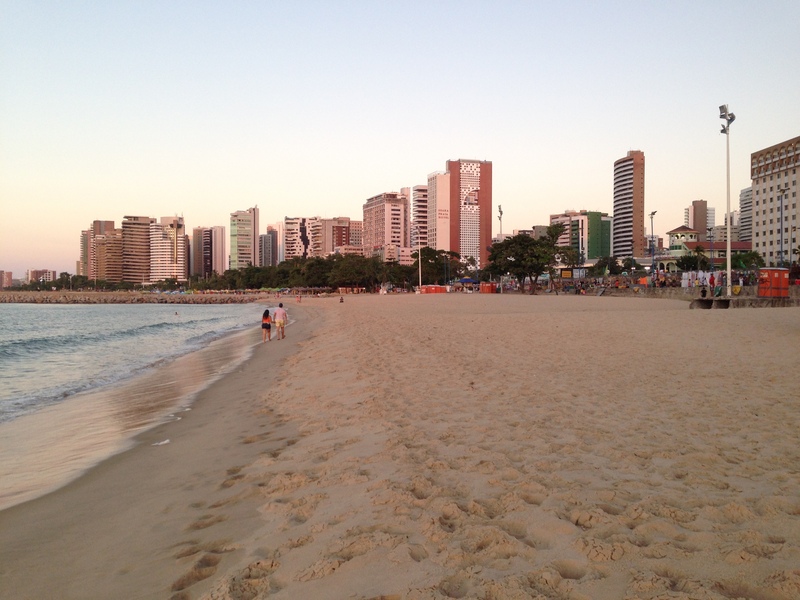 Avenida Beira Mar runs along Fortaleza’s popular urban beaches of Meireles and Iracema. The area is filled with hotels, high-end apartments, bars and restaurants. 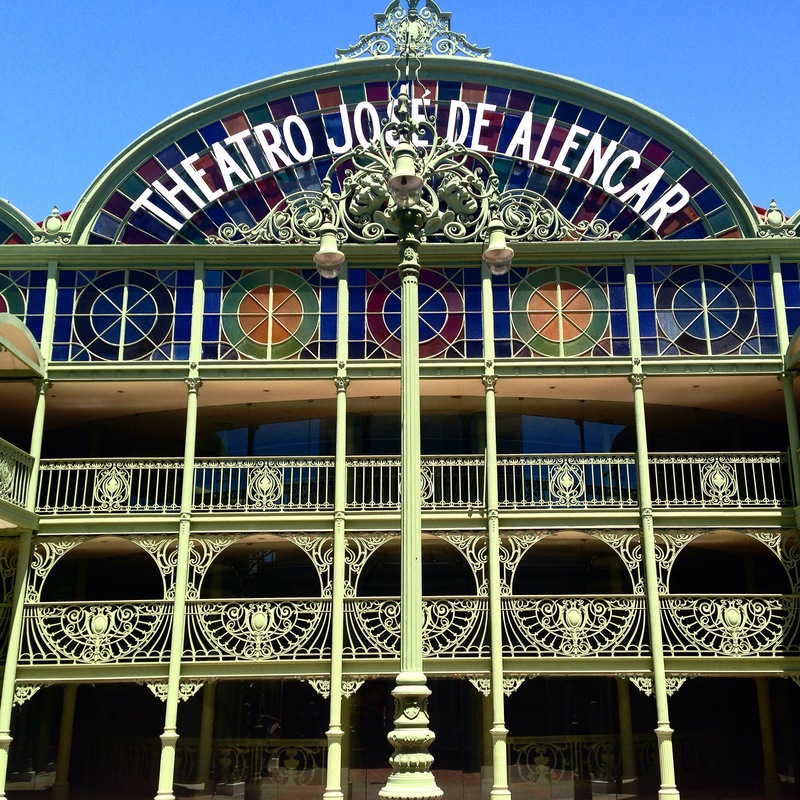 Wander through a flea market full of interesting Cearanese handicrafts. Sample a caipirinha, an água de coco, or fresh shrimp from one of the many kiosks along the way. Hundreds of tourists crowd the promenade and beaches each evening to watch the sunset and the activity continues well into the evening. Walking on the English Bridge (actually a pier) is especially sublime on a clear night. While the Beira Mar area seems very safe, you should keep your eyes open as tourists are often unfortunately targeted by thieves. Keep your valuables locked away in your hotel safe. On my first night in Fortaleza, a local friend of mine took me to dinner at Neide do Camarão, a popular restaurant situated alongside some railroad tracks. As you walk in, a man stands by with trays of freshly caught shrimp. You tell the man how much you want by the kilo and then they’ll cook up the shrimp in garlic and oil for you while you take a seat inside and enjoy a bottle of Skol. 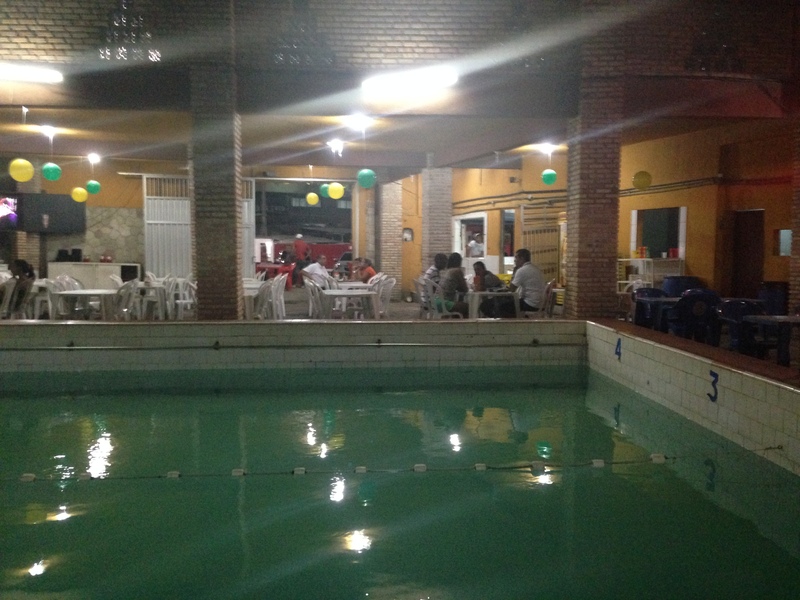 The tables are situated around an Olympic sized swimming pool. Neide do Camarão doesn’t offer fancy dining, but the food was decent and inexpensive and eating there was a unique experience. 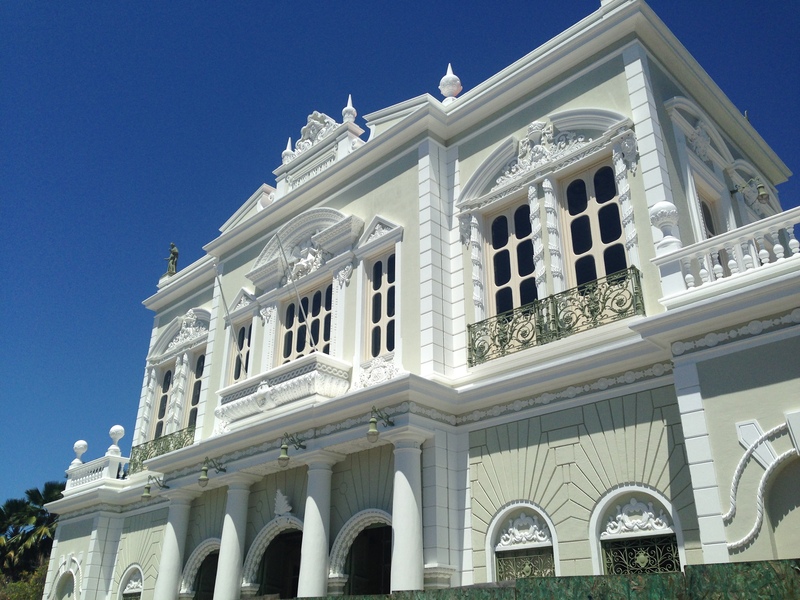 Fortaleza has not retained nearly as many of its old buildings as Salvador, but the city still has some fine examples of historic architecture. 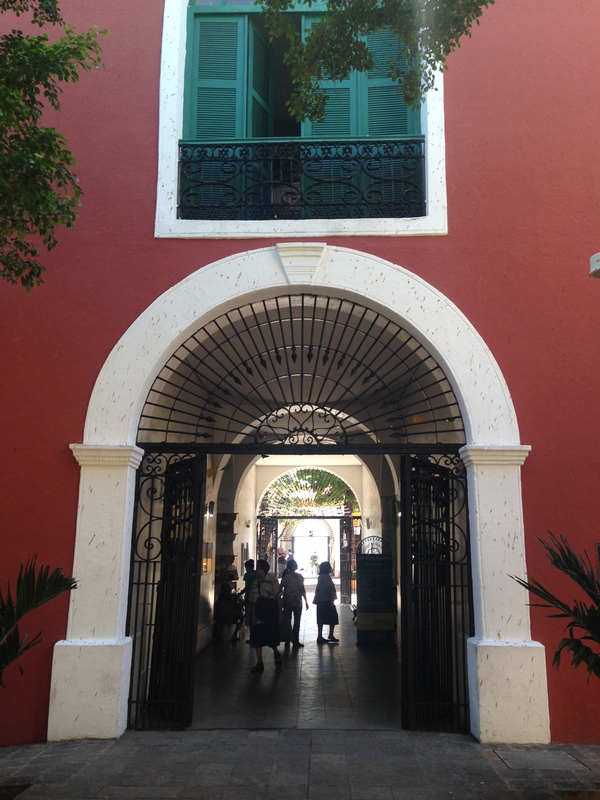 I spent a day walking around some of Fortaleza’s historic sites. 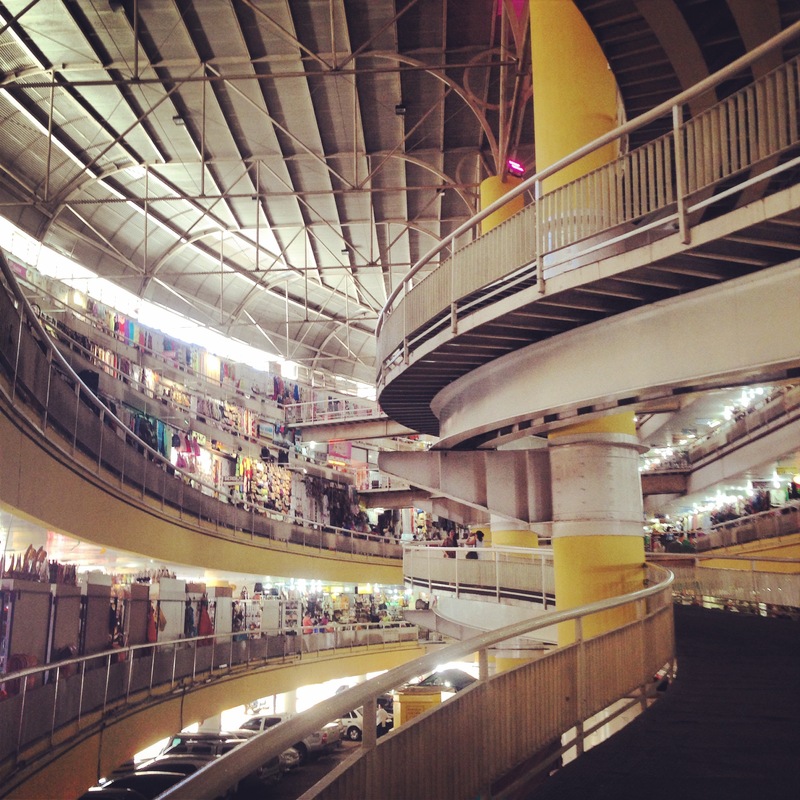 Below is a sample self-guided walking tour you can follow to take in some of these sites. You can complete the walk in about 2 or 3 hours depending on how much time you want to spend at each of the stops along the way. Constructed between 1939 and 1978, the Metropolitan Cathedral of Fortaleza was designed by architect George Maunier in the eclectic style, combining elements of gothic and romanesque. 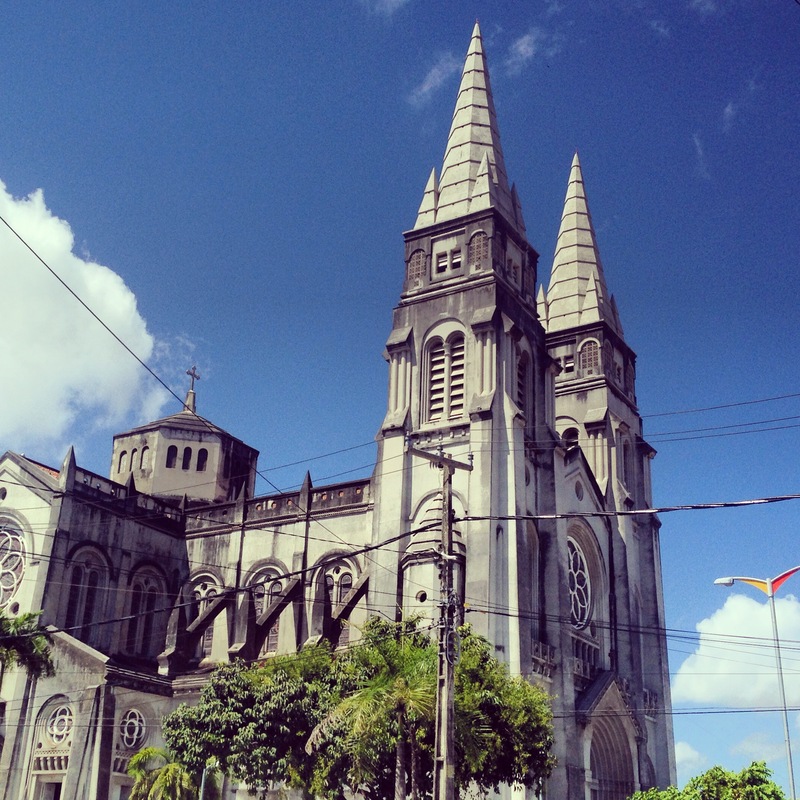 The cathedral is the seat of the Archdiocese of Fortaleza. The interior is white and simple in design, but illuminated by colorful stained-glass windows. Next to the cathedral is the market where you began the walk. One of the more popular urban beaches in Fortaleza is the Praia do Futuro, a 8 km expanse of sand. The beach is lined with barracas (beachside restaurants that offer chairs, food and drinks), one of the most popular of which is Crocobeach. The waves at Praia do Futuro are incredibly intense, which makes it a popular surfing location. Novice swimmers should be very cautious before entering the water. 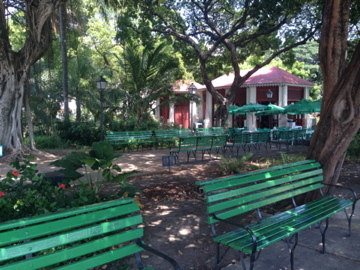 Vignoli – Pizzaria in Meireles. Really good pizza, but a little expensive. Coco Bambu – Trendy tropical themed restaurant. Enjoyed it, although it is actually a chain. Fortaleza is a great place to spend a couple days before heading out to explore the Ceará coastline. Fortaleza-based tour companies offer several journeys to the east, including Morro Branco and Canoa Quebrada and to the west including the incredible Jericoacoara. A couple big attractions I missed on my trip to Fortaleza were the Dragão do Mar cultural center and the Beach Park water park. Also, I would have liked to have more time to explore the surrounding beaches. Nevertheless, I really enjoyed my time in Fortaleza and would definitely consider a return trip. Have you visited Fortaleza? What was your experience like?